Thanks for visiting my Fort Leonard Wood real estate blog. These blogs cover the real estate market in and around the Fort Leonard Wood area. If you plan to buy or sale in the next 30 to 60 days this is the blog for you. The information will assist you in working with your real estate professional to price your home correctly or to make a reasonable offer on a property if you plan to buy. If this is your first visit to my blog, welcome and please sign up for future Fort Leonard Wood Market Updates. This blog focuses on the sales data for a 3 Bedroom, 2 Bath home in the Fort Leonard Wood area. The sales data relates to these style homes for the month of April 2017. This is a key month because it is the last month before we begin the busiest real estate time of year, May-September. The summer months are normally when the military attempts to move (PCS) most military families because their children are out of school. The summer months provide for an easier transition for military families and minimizes the shortcomings of changing school districts. Review my last blog where I focused on the number of “Days on the Market” (DOM) in the Fort Leonard Wood area. Combine all my blogs to make an informed decision about when to place your home on the market or when to enter the market as a buyer to purchase your next home. The chart below shows the number of 3 Bedroom and 2 Bath homes listed on the market as of April 2017. This number shows you how many homes you are competing with if you have a similar style home. The pending row shows the number of 3BR-2BA homes that went under contract in April (24 of 139 homes or 17% went under contract). The average price shows you what the average list price is and what the average price those type homes sold for in April. The last column shows how many days those homes are sitting or sat on the market before selling. If your home does not meet the 3 Bedroom, 2 Bath criteria please call, text, or email me with specifics about your home. You can also go to my website for a “free” market analysis to determine an estimated price of what your type of home will sell for in the Fort Leonard Wood Market. Selling a home should not be confusing and full of anxiety. If you have an honest discussion with your real estate professional and they have an honest discussion with you it makes for a better selling or buying experience. As a seller, you need to be reasonable in what price you expect to get for your home. Don’t hire a “part time agent”. Ensure you ask your real estate professional to provide you with a market analysis for your home. If that price is not what you need or expected then it may not be the right time for you to sell. If you must move (PCS) then it may be better to place your home in the rental market until you can pay down your home mortgage or a market analysis shows your home is competitive in the current market. Do not let a “part time agent” make a guess on what your home will sell for. This very seldom works and is playing Russian Roulette with the largest investment you and your family will ever make. Understand what your agent's role is and hire an agent that tells you what you "need" to hear not "what" you want to hear. I have real world experiences where I provide a market analysis for a seller’s home and they say, “I can’t sell my home for that, I need at least $20,000 more”. Here is an example that I see "all too often" in the Fort Leonard Wood market. I conduct a market analysis on a home and tell the home owner that I can sell their home for around $149,900 in the current market. The seller states that real estate agent “X” told them they could sell their home for $169,900. When I ask to see the agent’s market analysis the seller says, “I never got a market analysis”. In my opinion, this is a huge risk with your largest investment. This seller listed with the other agent at $169,900 "hoping” they would get an offer. The seller had zero showings for 5 months, because the home was obviously overpriced home, and if you get zero showings you get zero offers. After 5 months (150 days) with zero showings the listing agent informs the seller they need to lower their price. They convince the home owner to drop the price to $159,900 the last 30 days and accepts an offer of $149,900. Now flashback to back when my market analysis gave the seller an honest assessment of $149,900? This seller wasted 5 months on the market (5 mortgage payments) they would not have had to waste if they priced their home correctly from the beginning. Realty Executives uses the number of homes we sell as our measure of success. Some brokerages use the number of listings they have on the market as their measure of success. My philosophy is "if the home does not sell neither the agent nor the owner makes any money" - so why delay meeting your success goals. Price your home right from the start. Do not let someone play marketing roulette with your largest investment. Get the facts and list your home to sell “not” sit on the market while other, correctly priced homes, get sold quickly. Don’t use a part time agent who will not provide a market analysis that you understand. If you are in the market to buy or sale please call, text, or email me. You can get a free market analysis from my website to determine if the market is right for you. 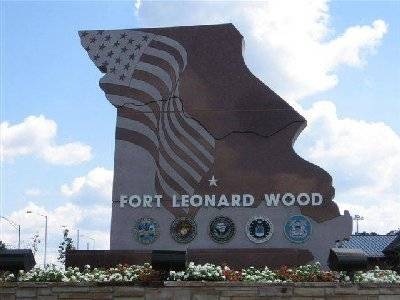 Continue to follow my blogs to stay informed about the Fort Leonard Wood housing market. Things are looking up and when it is time for you to invest, buy, or sell you’ll be better informed to become a winner in Real Estate by following my blogs. Use a full-time agent at Realty Executives for fast results and to tell you what you need to hear - not what you "want" to hear.